"My music is a reflection of my life," says Deems Tsutakawa, jazz pianist. "I think you'll find my music warm and friendly." 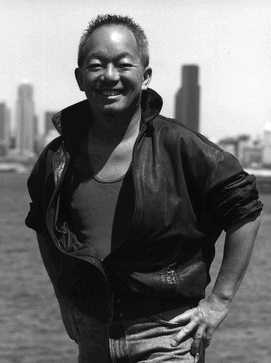 A native of Seattle, Washington, Deems is the second son of world famous artist, George Tsutakawa. He began playing piano at the age of five and won the annual Washington State Music Teachers Association Award at the age of nine. Deems originally played classical music but in high school turned his attention to jazz. "I fell in love with rhythm & blues and soul, which led me to jazz. These American music forms reflect my personality perfectly." During Deems' formative years, music was pure and artists performed with great conviction. Artists expressed their inner souls, never worrying about what recording executives wanted to hear. He grew up on a diet of Verve, CTI, Motown and Atlantic, inspired by the musicians who were most able to express their artistic freedom. It was this foundation that Deems was able to develop his own genuine style. A unique style in which he can play any groove and you'd instantly know it was Deems. The sound he writes, arranges and produces is truly enchanting and deep from his heart. He touches your emotions with his music. His passion to perform and write continued to grow from his early days at nightclubs in Central Seattle and the International District to worldwide concert halls and clubs, from Tokyo, Japan to London, England. He has had the pleasure of working with recording stars Kenny G, Roy Ayers, Tony Gable, Julian Priester as well as opening concerts for Spyro Gyra, Hiroshima and Maynard Ferguson. Deems' desire to be heard on a much broader scope, spurred him to start his own label, J-Town Records in 1982. His first release, DEEMS, was chosen by Dr. Herbert Wong (nationally known jazz educator) to be on the "Top 20", Vital Jazz Vinyl. Deems was in good company right along with veterans Ron Carter, Miles Davis and Bill Evans. Dr. Herbert Wong writes, "Deems is a strongly melodic writer and an even stronger player . . . he gets a gorgeous sound and somehow betrays a secret he has discovered in creating a beautiful crystalline quality." His second album, Living Deems, launched the hit single, Tough Tofu. His third album, The Planet Deems, was released jointly with the late NastyMix Label. Deems Plays For Lovers, is his fourth release, followed by Seattle Groove, Love West, L.A. Live, My Music Loves Christmas, Soulatude - the Soul has an Attitude, Deems Special Collection, and Deems Greatest Hits. His live performances are not to be missed. A true live entertainer, Deems' music is electrifying and the visual animation of the artist is captivating. The bandleader says of himself, "I feel that my exuberance is infectious to the audience as well as the other musicians in my band." Experience the mysterious universe of Deems, where his music recognizes no boundaries.